I’m guessing that you’re facing some sort of “dark valley” today. Most of us are. It doesn’t have to cause us to be overwhelmed with fear, but sometimes it does. It doesn’t have to throw us into depression, but there may be signs of it affecting our bodies and minds. It may be issues financially, spiritually, emotionally or relationally. Often He wants us to grow in our faith, and it can take a season of pressing in deeper to Him to see how much He DOES care. We can become so self-reliant, believing that a Western way of life—DOING all the things, holds all the answers, when He wants us to rest in His arms and feel the breath in His chest and hear His heart beat. He CAN heal us right away, but He knows that we need to learn to trust Him for every little thing. 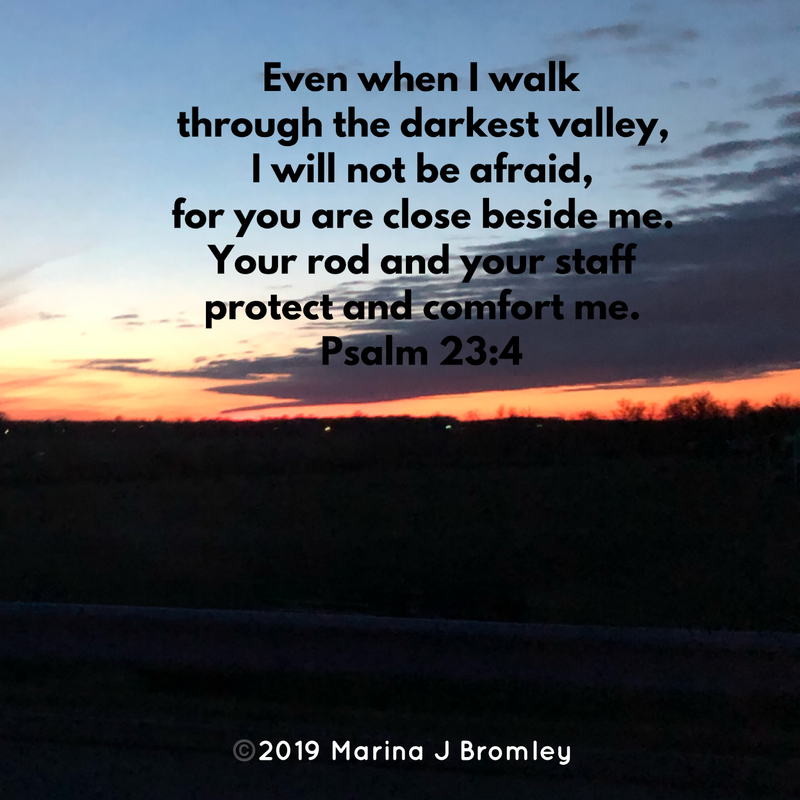 He grows us to depend on Him more, that in another season our HIStory will testify the amazing ways He provided during our dark valley journey. God is not a genie who gives us what we wish for. He is not a tyrant who wants to see us suffer. He is a loving Father who wants to see His children grow and mature in all ways. 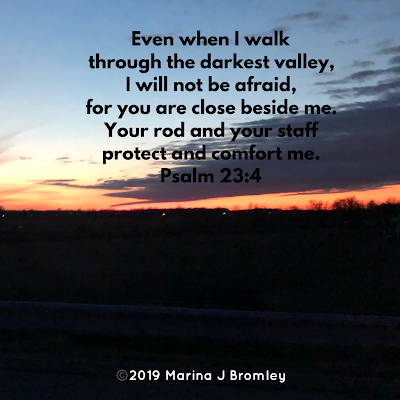 He continues to walk with us through dark valleys so we learn He can be trusted with our prayers, and we can depend on Him for our every need.